Now live is the ability to use ticket personalization tokens in email templates and snippets. Personalization tokens are a great way to make your emails feel more, well, personal. That personal touch is what helps you build a meaningful relationship with your customers. Previously, you were only able to use contact, company, and deal personalization tokens in sales email templates and snippets. But what about a ticket? 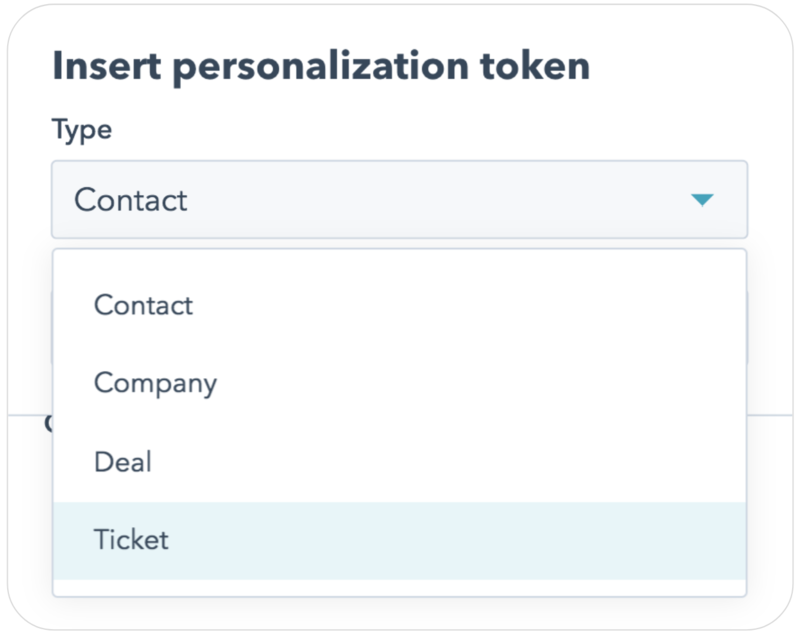 With ticket personalization tokens, you can easily bring fuller context to your emails with all of your favorite tickets properties in your email templates and snippets. No more manual searching. Let ticket personalization tokens do the hard work for you -- saving you time while still building those meaningful relationships. Note: In order for ticket tokens to populate, the contact you are emailing must have an associated ticket in HubSpot. If there are multiple tickets associated with the contact in question, HubSpot will populate information from the most recently created ticket.